When you confront this card's Problem with more power than required, turn this card over. power to confront this card\'s Problem. 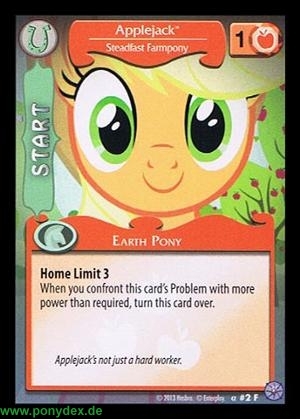 Applejack's not just a hard worker. When one of your Friends with this card at home or a Problem is dismissed, you may put it on the top of your deck. 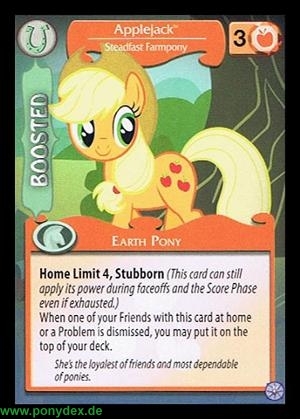 She's the loyalest of friends and most dependable of ponies.